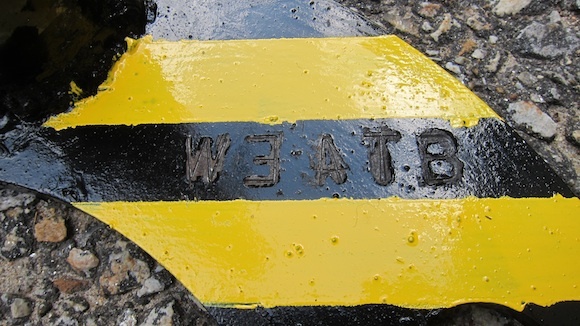 I’ve been doing public service amateur radio work since June of 2011. 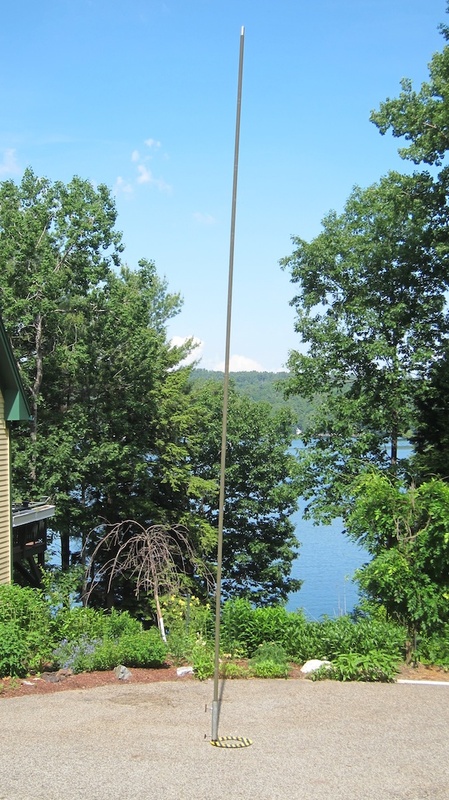 Frequently we need to erect a stable 2-meter antenna to get great simplex coverage at some of the events we work. 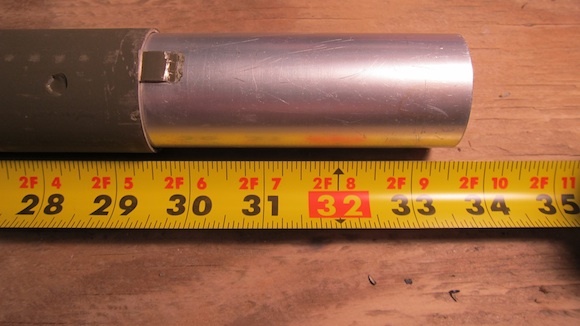 A few years ago I was introduced to the durable and versatile military surplus aluminum tubing that connects together with male / female ends. There’s even an interlocking tab so the tubes don’t spin. 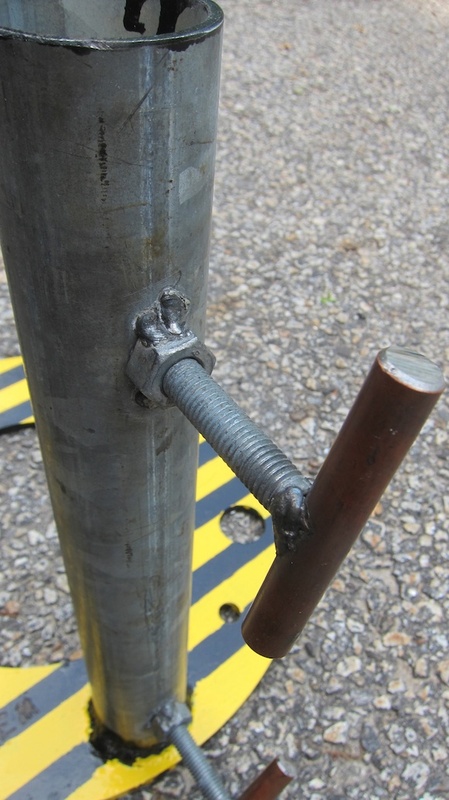 At one event I saw a fellow ham use a patio umbrella stand to support the mast tubing. 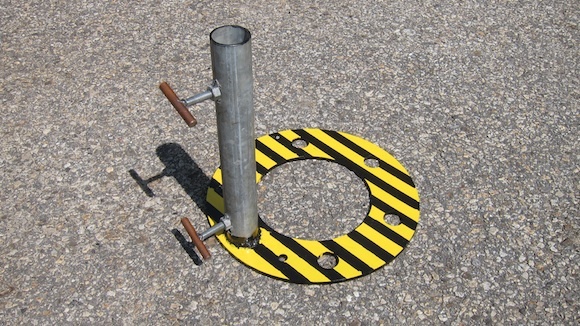 To ensure the mast didn’t fall over, the base plate of the umbrella stand was held to the ground by the tire of the ham’s truck. I thought the umbrella stand design could be improved upon so I talked one day with a fellow ham, John Haven, KC1AAG. I drew up a rough sketch on a piece of cardboard to show John and he thought about how to add the bolts and make the base as light as possible using a ring of metal instead of a solid plate of steel. The steel ring was a brilliant idea. My guess is the entire support weighs less than 20 pounds. You won’t be taking this backpacking, but for a field setup where you operate in the vicinity of your car or truck, it’s a good thing to consider. I think the photos do a good job of explaining what’s going on. Be sure to watch the video below of one of these masts being erected by my fellow club members. Yesterday my good friend Jim Cluett, W1PID, gave me a very cool present. 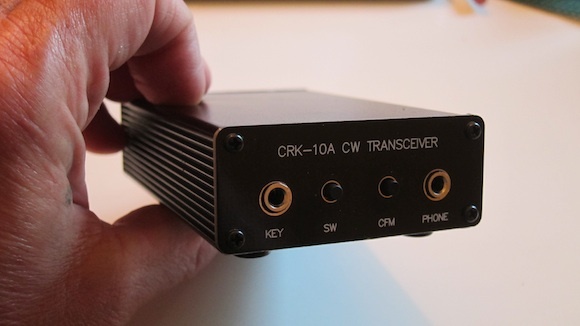 It’s a crystal-controlled tiny pocket radio – the CRK-10A CW transceiver. 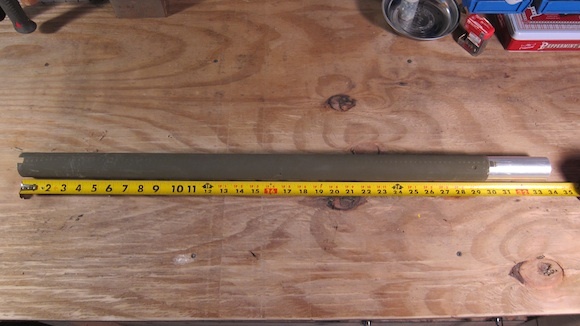 It transmits on a single frequency, 7.030 Mhz, and it receives across a wider band. The CRK is an acronym for Chinese Radio Kits. 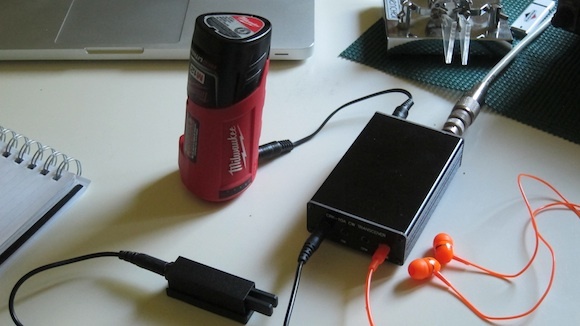 The tiny rig operates on a wide range of power levels from 9 to 15 volts DC. At 12 volts DC power, the manufacturer states it will output 3 watts. The case seems to be made from a painted aluminum channel. It’s hard to tell since it has a black finish on it. Whatever it is, it’s LIGHT! The little rig can’t weigh but 8 ounces, maybe less. This radio is a power MISER. When you transmit, it only gobbles up 500 mA and while you listen for stations to operate, it gently tugs just 15 mA of power from a battery pack. You can read all the technical specifications and see great color photos of the circuit board before, during and after assembly of all the tiny parts by clicking here. The tiny SW button on the front of the radio allows you adjust the speed of a paddle keyer like I use. You can use a straight key too. This same button allows you to also enter in your call sign so the radio will automatically start to send out a CQ for you. The CFM button allows you to determine where an incoming frequency is either up or down the frequency range of the receiver. You do this by listening to a tone change as you press the button. It’s a very cool feature. The antenna connects with a standard BNC connector on the back of the radio. I tested it using my large multi-band dipole antenna that I use for my primary shack radio. I tuned it perfectly to 40 meters then connected the antenna to the BNC connector on the back of the radio. In a few seconds I had my micro Pico Paddles connected as well as my earphones. The last thing you want to connect is the power supply via a 2.1 mm standard jack. Instantly I heard signals! I called CQ and within 15 seconds was answered by K1PUG in CT. He was so loud I had to pull the earphones out of my ears. Realize there’s no volume control with this little rig. In less than a minute, I had my first QSO with this fun radio. My friend Jim told me this is a copied design from the Rockmite radio first introduced by Dave Benson, K1SWL, the founder of Small Wonder Labs. Dave introduced the Rockmite at the 2002 Lobstercon.